Friday nights are typically Pizza Nights at our house, but every once in awhile I get lazy (or have a limited amount of time) and don’t want to make the crust. So I change it up and make Pizza Bread instead. We recently had one of those nights. 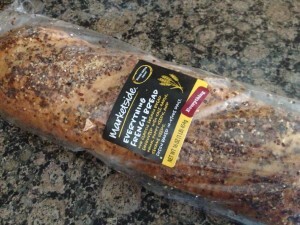 I love buying my french bread from Walmart because they sell some seasoned french bread. Ever had it? You definitely want to try it! My favorite is the Garlic Parmesan. However, this time they were sold out and I settled for the “Everything” one instead. It was a little on the salty side, but it was still good. 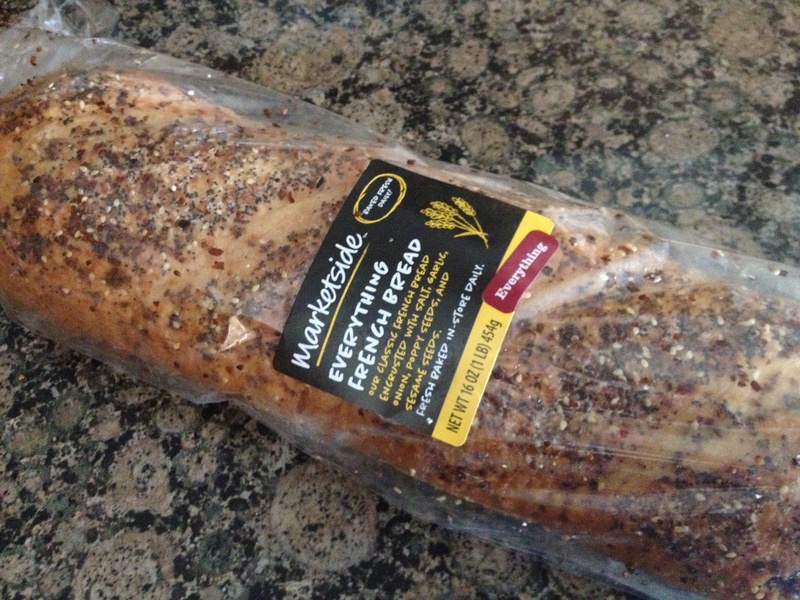 I just love the added flavor it gives to the pizza bread. I also had some homemade tomato juice in the freezer that I used to make a fresh pizza sauce. It sure beats store bought any day! I’m thinking that next time I make a French Bread Pizza that I will assemble a few more for the freezer. Then we’ll really have some easy cooking nights on a busy day! Slice the french bread down the middle lengthwise to make two halves. Layer with sauce, cheese and desired toppings. Bake at 400 degrees for 10-12 minutes, or until cheese is melted and bread is lightly toasted. 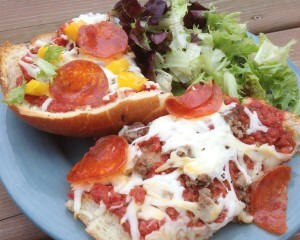 This entry was posted in Recipes and tagged french bread pizza. Bookmark the permalink.